Elevate drinking coffee or tea to an art form. 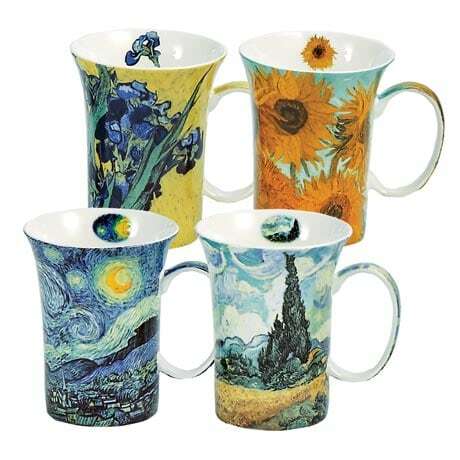 Fine bone china mugs feature vibrant, colorful images from Van Gogh's most famous paintings: "Starry Night," "Sunflowers," "Irises," and "Wheat Field with Cypresses." Each holds 14 oz. Dishwasher and microwave safe. Set of four arrives in a deluxe presentation box.